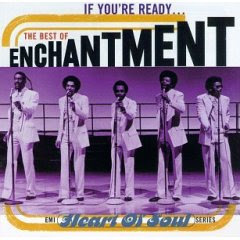 Enchantment is an R&B group out of Detroit which was active during the late 70s and early 80s. However, they never really got their big break, and stayed pretty much a local act. I personally think they are underrated. I got "Forever More" on one of my slow jams playlists. . . .